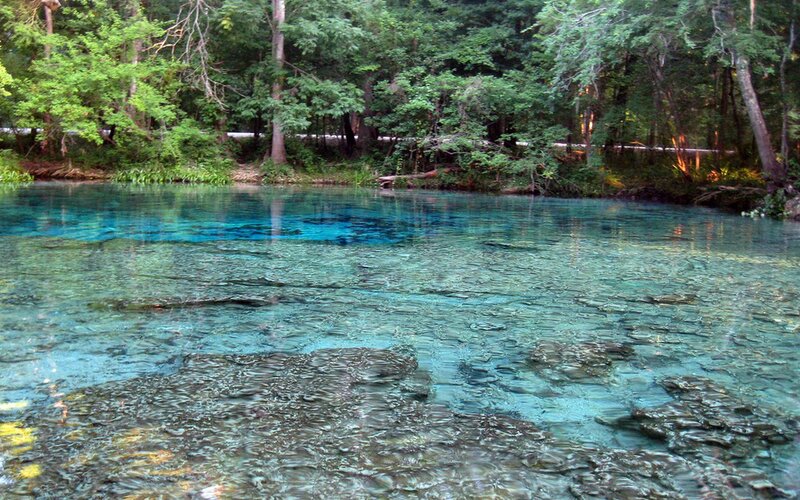 Ginnie Springs is a privately owned park in Gilchrist County about 6.5 miles northwest of High Springs, Florida, USA. It is a located on the south side of the Santa Fe River, to which it is connected. 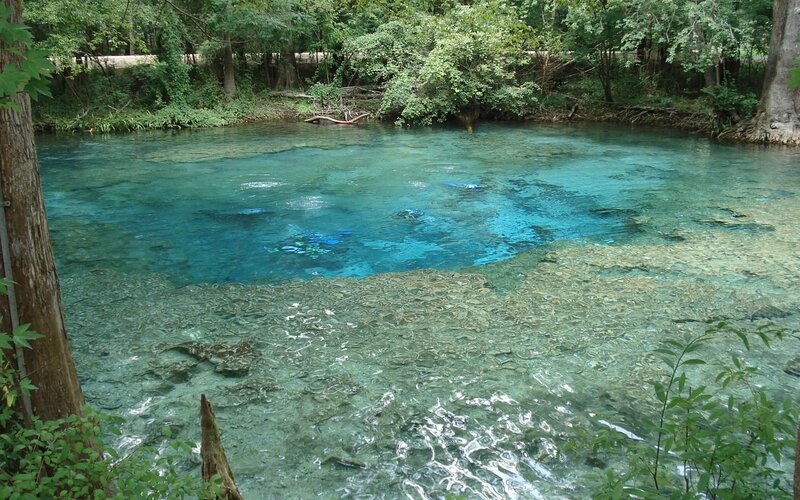 Some of the most beautiful springs you will ever see. This is a world mecca for divers, but it is great for regular swimmers, tubers, and snorkelers as well. 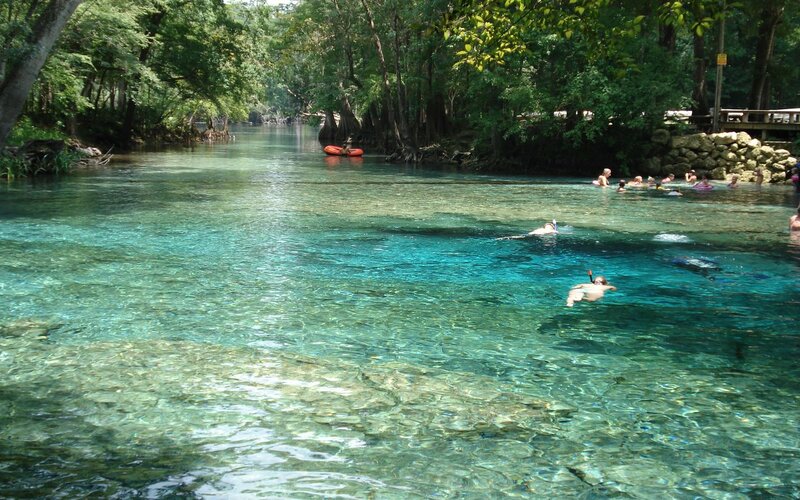 You can rent tubes, snorkeling equipment and more, and you can float from spring to spring on the Santa Fe river. There's a snack bar where you can get hot dogs, burgers, and subs. 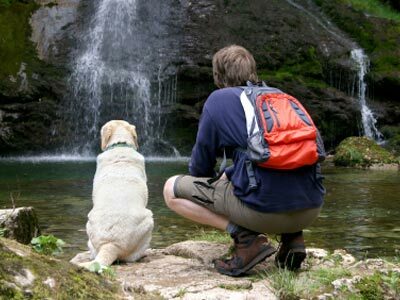 it's a little pricey but worth it to be in that magical place. 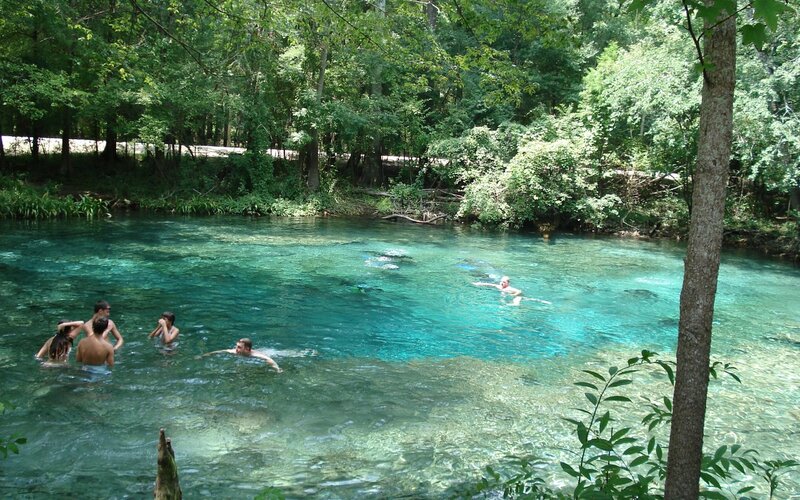 Ginnie springs is great for a weekend college trip with friends, but I would stick to Icketucknee Springs or others if you are with family.